The last issue of Watercraft magazine (#86) is just printed. 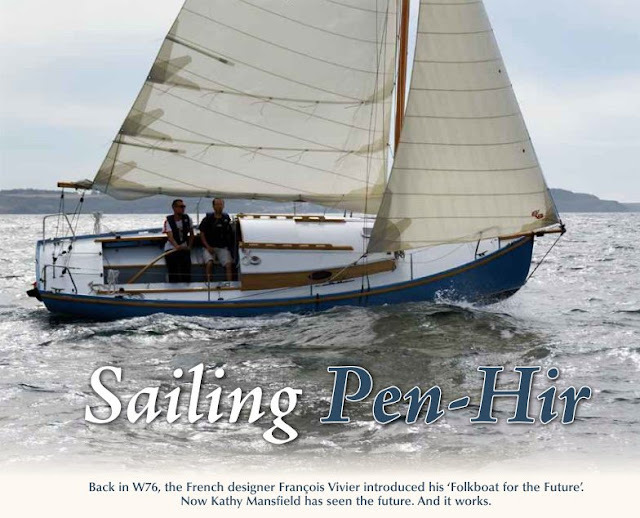 You will find an article on my Pen-Hir, created as "an elegantly simple cruising yacht "he" calls a "Folkboat of the future" and "his" son's boatyard Icarai is building her in sustainable birch plywood". Watercraft is my preferred magazine for small traditional boat. The magazine you "must" read.